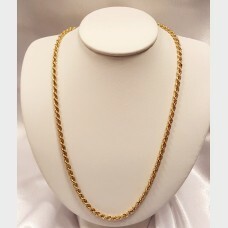 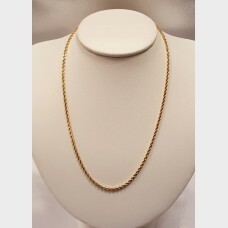 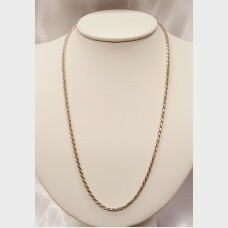 Men's 14k yellow gold rope chain necklace. 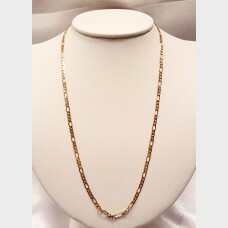 This pre-owned chain measures approximately 18 inches in ..
Men's 18K yellow gold and platinum band. 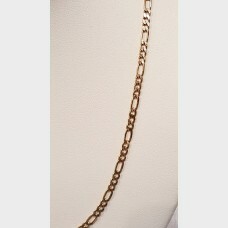 Weighs approx 8.1 grams. 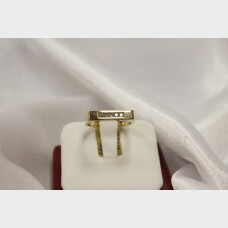 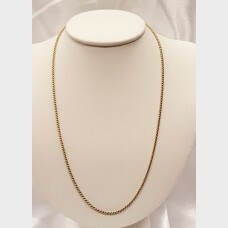 Ring is pre-owned and a size 8 3/4..
14K men's link yellow gold chain necklace. 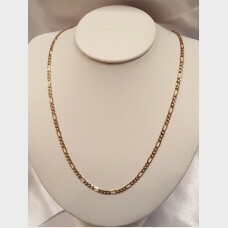 This pre-owned chain measures approximately 19 inches in ..
Men's sterling silver gold rope chain necklace. 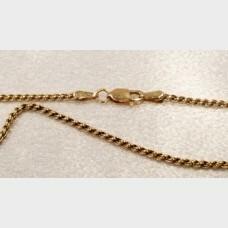 This pre-owned chain measures approximately 19 inche..
Men's 14k yellow gold rope chain necklace. 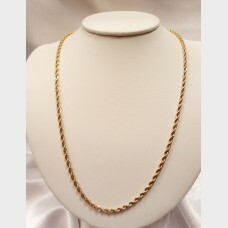 This pre-owned chain measures approximately 20 inches in ..
Men's link 14k yellow gold chain necklace. 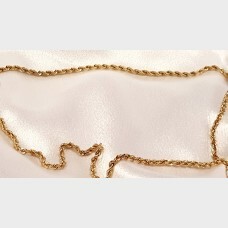 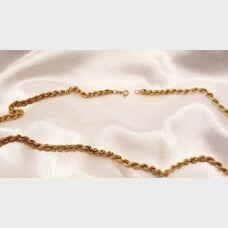 This pre-owned chain measures approximately 22 inches in ..
Men's 18k yellow gold rope chain necklace. 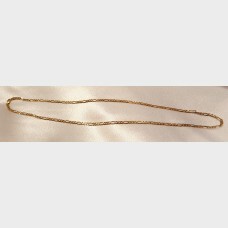 This pre-owned chain measures approximately 24 inches in ..
Men's 14k yellow gold rope chain necklace. 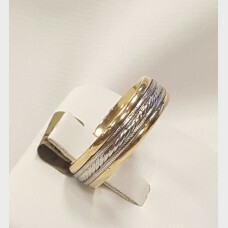 This pre-owned chain measures approximately 30 inches in ..
Men's yellow gold band with about 0.25 carats of diamonds spread across the ring. 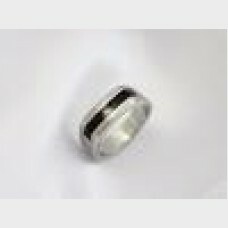 Weighs approx 8.5 ..
Men's platinum ring with a small diamond in the middle and black onyx surrounding the diamond.. Diam..
Men's platinum ring with 3 small diamonds. 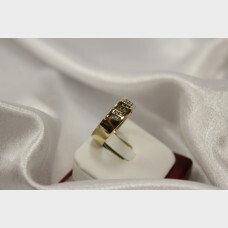 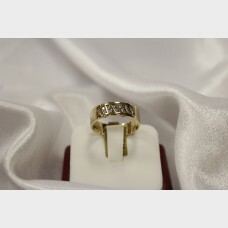 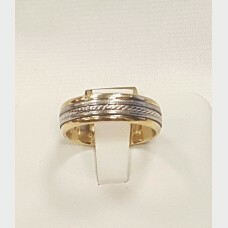 Diamonds are approx .16 ctw and weighs a total of 10 gram..
Men's 14k yellow gold band with about 0.15 carats of diamonds throughout the squared center of the r..
Men's platinum band with about 0.2 carats of diamonds spread across the ring. 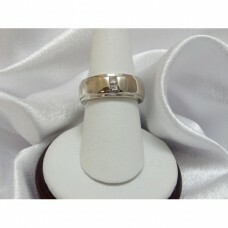 Weighs approx 9 3/4 gr..
Men's 14k white gold band with about .20 pts. 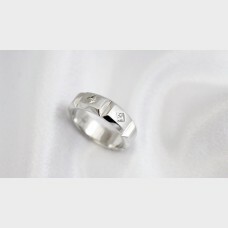 The ring weighs approx 12.6 grams. 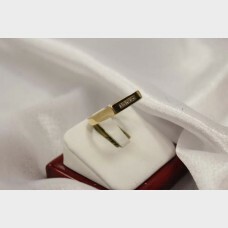 Ring is pre-owned w..
Sterling silver cross pendant with unique design. 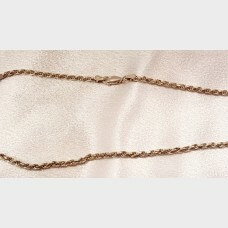 Handcrafted in Mexico. 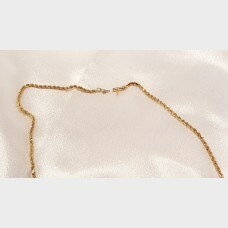 Cross measures 2" top to bo..